Today is the last day of the 33rd ASEAN summit in Singapore. Many things, including the menu of the gala dinner and napping Presidents, have been making the news. One of the main items on the agenda, however, was Myanmar’s on-going humanitarian crisis. In a departure from the traditional position of non-interference, the ASEAN chairman called the crisis “matter for concern” in his statement. The following days had Malaysian Prime Minister Mahathir Mohamad and U.S Vice President Pence making remarks on the lack of progress Myanmar is making towards restoring the situation. The other high-stakes agenda item was the disputed South China Sea. It has been reported that ASEAN and China would continue to advance their strategic partnership, the joint maritime exercise held last month as evidence, and work towards a more robust Code of Conduct in the waterway. ASEAN countries, however, are hedging their bets. In his intervention during the summit, Singapore’s Prime Minister Lee Hsien Loong said that ASEAN countries view the US-China relationship as the most important set of bilateral relations that have profound implications for them, and want to engage with both China and the U.S. The annual ASEAN-India summit, attended by Prime Minister Narendra Modi, was centred around the creation of Regional Comprehensive Economic Partnership (RCEP). New Delhi has been hesitant to join the RCEP citing discomfort opening its markets to China. Keen to have India join the RCEP, ASEAN has made a concessional offer – India can open up 83% of its market against the earlier set 92%. The pact is seen as vital to securing the region’s continued prosperity, especially after a trade war broke out between its vital trading partners US and China. At a time when significant trade is being diverted out of China, India stands to gain a lot by joining the RCEP. At the summit, Prime Minister Lee noted that India has consistently supported ASEAN centrality and he hopes the strategic partnership between the two continues to grow. 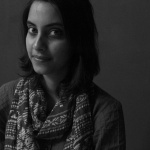 Shibani is a junior programme associate at the Takshashila Institution. A post-graduate of S. Rajaratnam School of International Studies, she has conducted research on hybrid warfare as an intern at the Institute of Defence Studies and Analyses in New Delhi. Her other research interests include conceptualisation of violence, religion and violent extremism and military affairs and foreign policy. While doing her Masters, Shibani worked as a communication coach at the LCC CommCube, NTU.